Planning to invest your savings in some good investment instrument but not sure which one it would be or planning to invest in stocks? Well that is what we are here for. Investing in stocks is a tricky affair but trust me it’s worth the pain. You just have to be quick witted and brainy and you can go out there to conquer the stock world. There are few things one has to be sure of before investing into stocks. Your financial positions – You have to be sure of what amount you can or can afford to put in the market as it is a risky game. So don’t start investing unless you have a secure present. Study the market – Go through the past 5 years market trends, observe and learn the patterns as they prove to be very beneficial as they teach you how to predict the market. Start with a small investment– first go for a small investment and see how it comes out to be and then pour in the more money its always advised to invest in those companies which you know about playing bluff can be risky at many times. 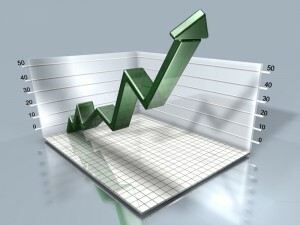 Decide your niche – decide whether you want to do a long term stock investment or a short term. Short term is normally done by the day traders so if you are a day trader then only you can earn some thing otherwise it’s a total loss investment you are doing there for long term investment its advisable as it goes like this, a person buys few percentage of a big companies stock and then store them for few years then selling those stocks will be beneficial as the long term stocks appreciate quite well as compared to the short term. Study the company – before buying the stocks be sure of the company background and the future prospects of the company as investing blindly in any venture is not advisable so be sure of the product you are investing in and its future development. Go according to the following market conditions – Never invest in stocks when the market is falling or rising always buy when the market is depreciating and sell when appreciating, so that you can make the maximum out of your investment.